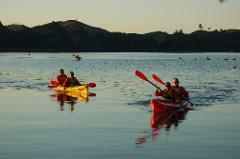 During this guided tour you will be driven 10 km up the Wairoa river where you will paddle back to Waimarino Adventure Park with a guide. Enjoy the wonderful calm Lake Mclaren where serenity take a new name. In this fully guided scenic tour, moderate fitness is requires. Kayaks are fast, dry and stable double sea kayaks. All equipment is provided. During this unguided tour you will be driven 10 km up the Wairoa river where you will self-paddle back to Waimarino Adventure Park. 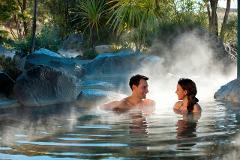 Shore Excursion from Tauranga: Hobbiton Movie Set tour & Rotorua Geothermal Geysers with Maori Culture. Experience geysers, mud pools and steam vents with Maori culture, in Rotorua along with the Magic of "The Hobbiton Movie Se"t on This Cruise Ship Shore Excursion From Tauranga Port. 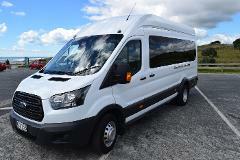 Shore Excursion From Tauranga: Rotorua Geothermal Geysers : Kiwifruit : Redwoods and Highlight Tour with a deluxe two course lunch Included! 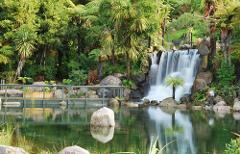 Join us on a day of discovery, intrigue and amazement at the authentic living Maori Village. 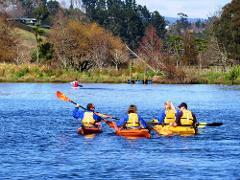 Enjoy a cultural tour at Te Whakarewarewa valley. 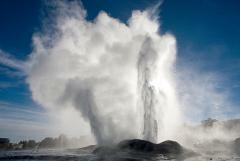 Experience Pohutu Geyser, Boiling pools & steam vents with Maori Culture & history. 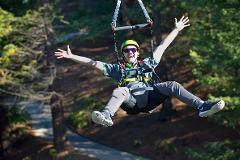 Shore excursion: A day of fun and Adventure, 5 luge rides, zip-line, sky swing and Gondola along with a deluxe Lunch! 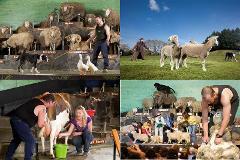 If you're feeling brave & your ready for some Fun, Thrills, Laughter & Action then this is the tour for you, your family or friends! Jump on board a Gondola & experience spectacular views of Lake Rotorua, once at the top the thrills begin! 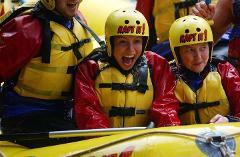 Rafting, Quad Bikes, Jet Boat, 4X4 Buggy Tour, Clay Shooting, Horse Trekking, Gondola with Luge rides. 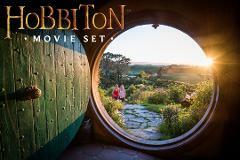 Shore Excursion From Tauranga: Hobbiton & Waitomo Glowworm Caves. 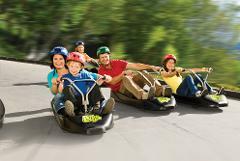 If you're feeling brave & your ready for some Fun, Thrills, Laughter & Action then this is the tour for you, your family or friends! Jump on board a Gondola & experience spectacular views of Lake Rotorua, once at the top the thrills begin. 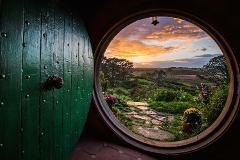 This once in a lifetime shore excursion from the Port of Tauranga, A flight in a Helicopter with landing in to a Volcano and the tranquil Kiwifruit orchards of te puke in a guided themed cart Tour.